When I discovered Podcasting in 2004 I was immediately hooked. When I discovered Podcast fiction I was addicted. I was in on Scott Sigler's EARTHCORE from the very first episode, and not only have I listened like a good Junkie to every episode of every podcast novel he has so brilliantly spewed forth, I have gone on to become good friends with Scott. I have been fortunate to meet many of the Podcast novelists whose work I admire, including Seth Harwood ("Jack Wakes Up"), Mark Yoshimoto Nemcoff ("Number One With A Bullet", "Shadow Falls", "Diary of a Madman"), Tee Morris ("Morevi") and the inspiration for this blog post: creator of the uber popular "7th Son" Trilogy, J.C. Hutchins. 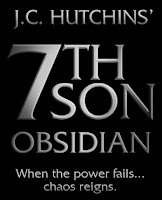 J.C. Hutchins has launched a ground breaking creative project with his "7th Son: Obsidian" series. He has extended the fictional world he created in the 7th Son trilogy by inviting other authors, podcasters and fans to create content based on a particular event in 7th Son - A nationwide blackout. In J.C.'s words: "On November 19, 2007, the U.S. suffered a coordinated terrorist attack, and was plunged into a nationwide blackout. The country devolved into chaos..."
When J.C. introduced his "Obsidian" project it lit a flame deep inside me, and a story started to brew. The sleeping wordsmith in the dark corners of my brain had been awakened. The result is a short story called "LOVE THY NEIGHBOR," which I recorded as my very first attempt at Podcast fiction. CLICK TO LISTEN TO "LOVE THY NEIGHBOR"
UPDATE: I am flattered by this great review of LOVE THY NEIGHBOR on the Time Well Wasted blog. Thanks Gemini! My Touch cannot get in touch. The Apple is now shiny. If you have an iPhone or an iPod Touch what was your update experience like? Leave a comment and let me know. Or better yet, leave a HAIKU of your own! Image via WikipediaAhhh, technology! As a serious "gadget geek" who is old enough to remember when there was no such thing as a personal computer on every desk or lap, I am a firm believer that technology has no age boundaries. When I look at generations older than my own I can see how those "seniors" who embrace technology are invigorated, connected, and live more enriched and enlightened lives. How can they not? How can it not be better in your retirement years to have the world at your fingertips from the comfort of your PC? How can it not be better to spend your golden years just a mouse click away from all the knowledge, places, and people you could ever dream of reading, seeing or reaching out and touching. With that in mind I was thrilled to see popular vlogger Steve Garfield proudly touting his mom's appearance tonight on ABC World News. Seeing popular blogger Millie Garfield, at age 82, talking with passion and enthusiasm about her blog, and Flickr, Twitter, community and "googling" was a delight and perhaps the best imaginable endorsement of blogging and so called social media. 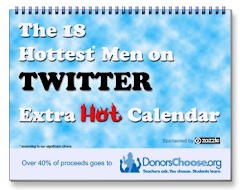 No wonder Steve is always plugging "My Mom's Blog." It is great, and so is she. Seeing this thoroughly modern Millie also made me think of my own Dad, who, at almost 73, is as addicted to his Blackberry as anyone I know and who doesn't go anywhere without his iPod and Laptop. I am also reminded that the more things change, the more they remain the same. When I was in college, my Dad used to send me big Manila envelopes filled with Xerox copies of pages and pages of stupid jokes. Today, he still sends me the stupid jokes... but now it is by email. So thanks, Dad, for the stupid jokes (and for being a tech savvy senior). And thanks Millie, for being a blogger and an inspiration! Are the seniors in your life "connected"? Here is Steve's "behind the scenes" video of his Mom's ABC World News interview.